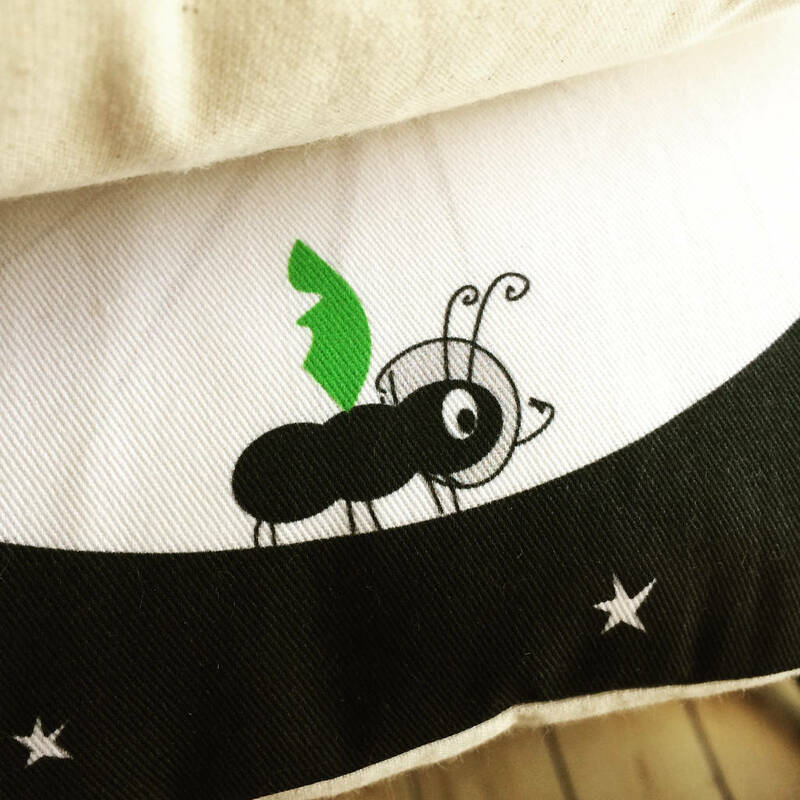 This children's cushion is illustrated with a little ant on the moon and will be personalised with an initial, which is hand cut in felt lettering keeping your cushion completely unique. Handmade using a heavy weight cotton twill, it arrives ready to use or give, with a feather cushion pad inserted. 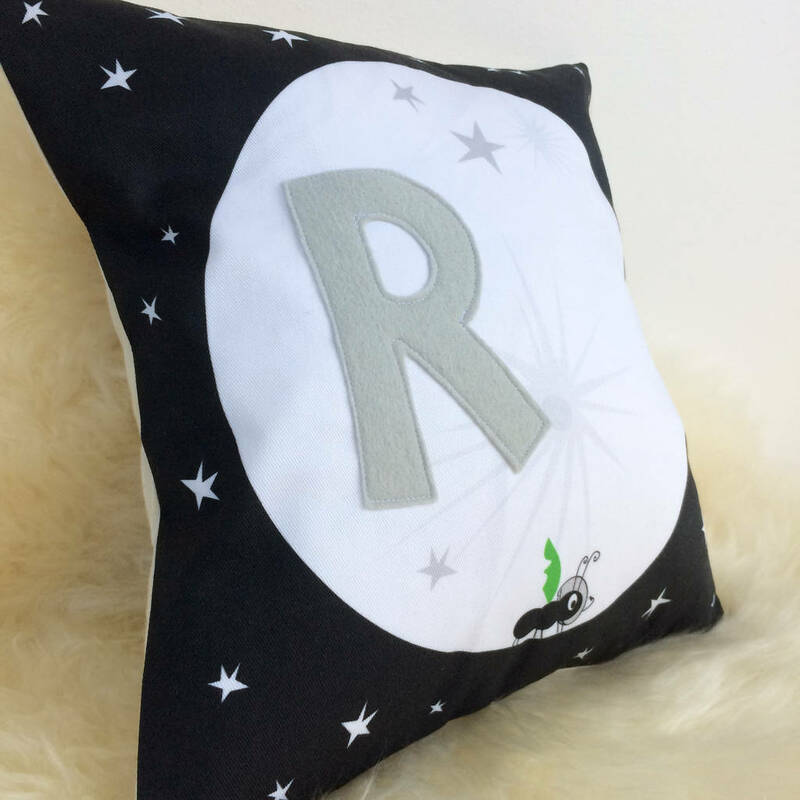 This lovely personalised cushion comes with an initial stitched onto the moon. The initial will be cut from your chosen colour; Grey, blue, pink, or yellow. Phosphate free Dry clean only, not suitable for sleeping with. With an envelope style back, it comes with a removable feather inner that complies with fire regulations. 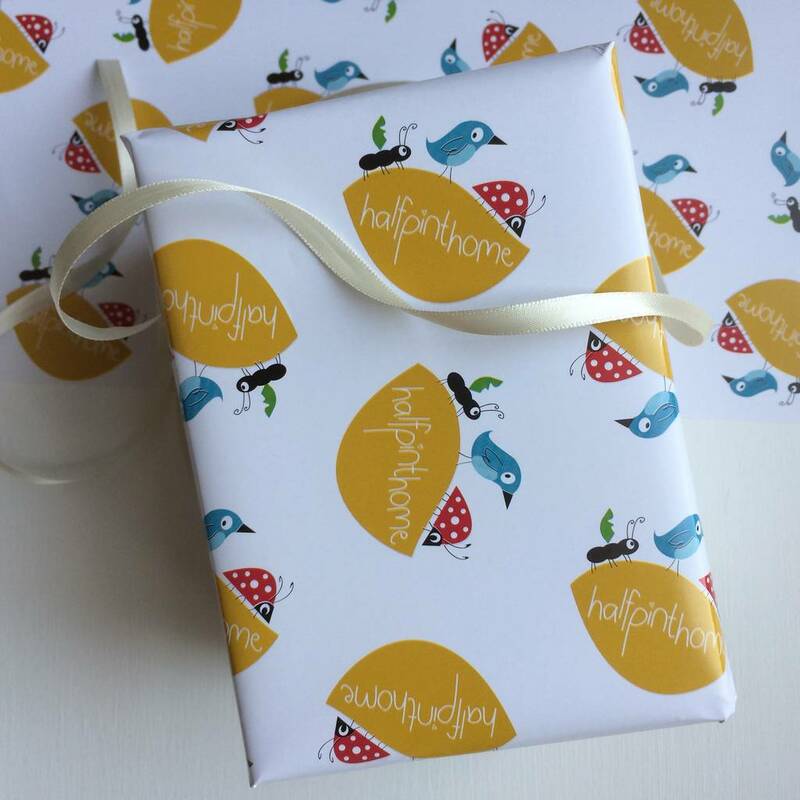 Gift wrapping on this item is available - just choose the gift wrap design you would like (£2.75) and leave a message for us to write on the gift tag. All messages will be hand written! This is great if you are short of time and need it to be sent straight to the recipient! 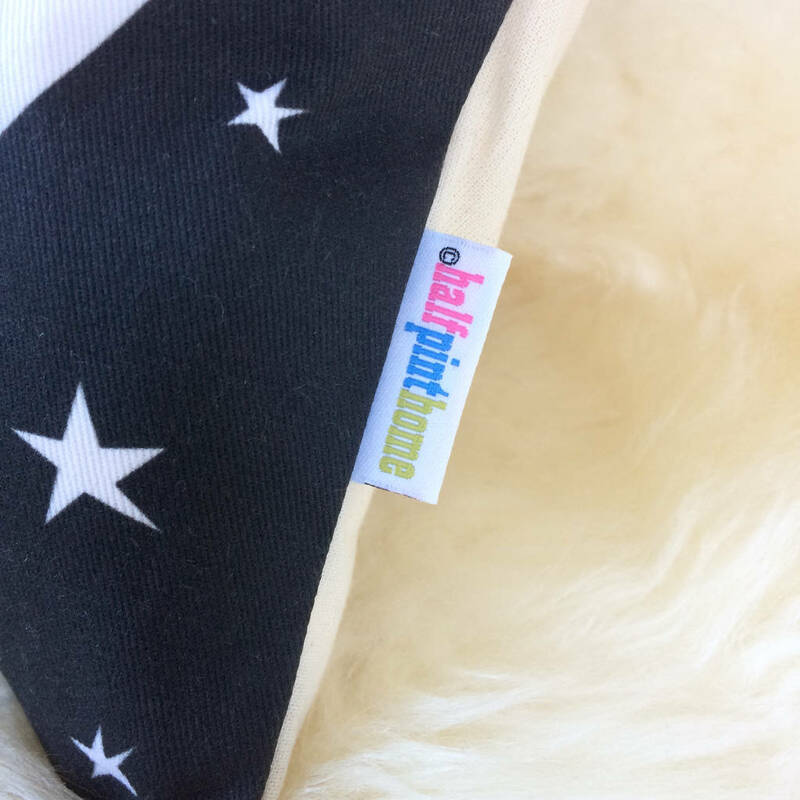 Made using eco printed cotton twill fabric and co-ordinating cotton fabrics. With an envelope style back, it comes with a removable feather inner which complies with fire regulations. Dry clean only. Not suitable for sleeping with. 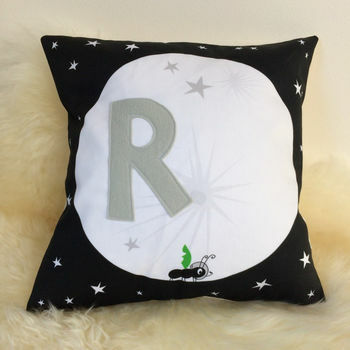 This decorative cushion is approx 30cms x 30cms and 8-10cms deep once plumped. This product is dispatched to you by Half Pint Home.